We are excited to announce Winshuttle Studio recently achieved certified integration with SAP S/4 HANA. This is an important milestone not only for our customers but for the entire SAP community. If your business is planning a migration to S/4 HANA or is implementing S/4 HANA as your SAP ERP of choice, you can now rest assured Winshuttle Studio will work and is certified to work with the next generation SAP ERP. As you may have heard in a recent press release, our early tests with various versions of S/4 were successful. However this certification gate completed by SAP certification authority, allows us to confirm that Studio has traveled through the SAP ICC along with the Winshuttle Function Module to ensure that we are not bypassing any of the generally acceptable standards for authentication or integration. 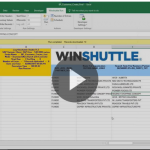 Over the years Winshuttle has regularly gone through product certifications in an effort to assure compatibility in the way that Winshuttle works with SAP. Winshuttle products work through the SAP BASIS and ABAP layers to access data and business logic either through BAPIs, remotely enabled Function Modules (rFMs), batch data communications (BDC), or GUI Scripting. Data and business logic can also be accessed through calling the transactions over RFC, but never reading or writing data directly to tables. As with most technological changes, we have had to make some adjustments to our application logic to handle new structures and objects within SAP that have flowed from the design of S/4 HANA. Most of these changes are related to functionality around specific transactions and specific tables where there have been significant changes. 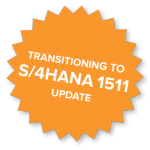 As of today the only certification offered by the ICC has been S/4 HANA 1511, and we have not been informed of requirements to certify for subsequent releases. SAP has suggested that on-premise S/4 HANA releases will lag behind the cloud releases and will come fairly regularly, addressing different areas of ERP functionality. It may become a necessity to certify Studio more frequently with specific SAP versions, and we will keep customers aware of this as we learn more. Keep in mind it is likely that just as for Enhancement and Support packages, there may not be any major certification options available for SAP partners like Winshuttle. 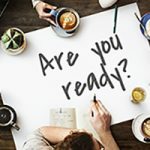 As a matter of course, Winshuttle tests Studio against these Enhancement Pack and Support Pack releases, but there is no formal certification available from the ICC.